As you know, the Golden Gate Bridge is world famous. This impressive structure was completed in 1937 and was way ahead of its time in many ways. Think about that for a moment. This iconic bridge is nearly 80 years old and still operating today! 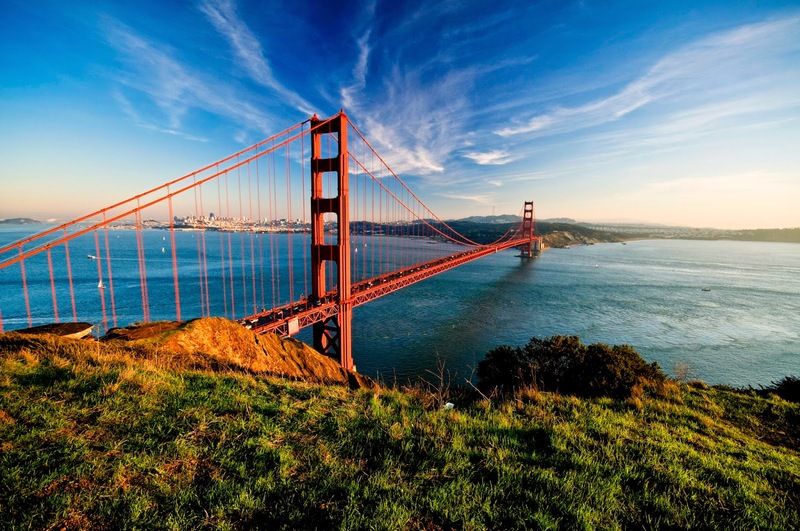 Visiting the Golden Gate Bridge is an experience that just might take your breath away; however, your life can be enhanced by this incredible bridge without ever visiting the landmark in person. 1. Reverse your lanes. By 1963, traffic during the rush hour commute across the bridge made for a very lengthy commute for workers traveling in and out of the city. During those peak traffic times, many drivers surely wished for another route across the water. However, in the afternoon hours, traffic was flowing steadily. This presented a challenging problem. The resulting solution is very insightful. The powers at be realized they had a problem, but they also recognized above all that they had a great bridge. Instead of ignoring the problem, or running off to find a new solution, someone looked at the challenge and realized that the incredible bridge could offer its own solution: use reversible lanes. This means that the lanes were changed to flow traffic in the opposite direction on an as needed basis. In the morning, the bridge has more lanes of traffic heading into San Francisco. In the mid afternoon the lanes are evenly split, and more lanes head out of San Francisco in the evening. You may encounter a challenge when it comes to getting and/or staying in shape that makes you angry, seems impossible to overcome, or that you are already functioning at full capacity and cannot possibly face another life disappointment. Maybe losing weight is a lot harder than you expected. 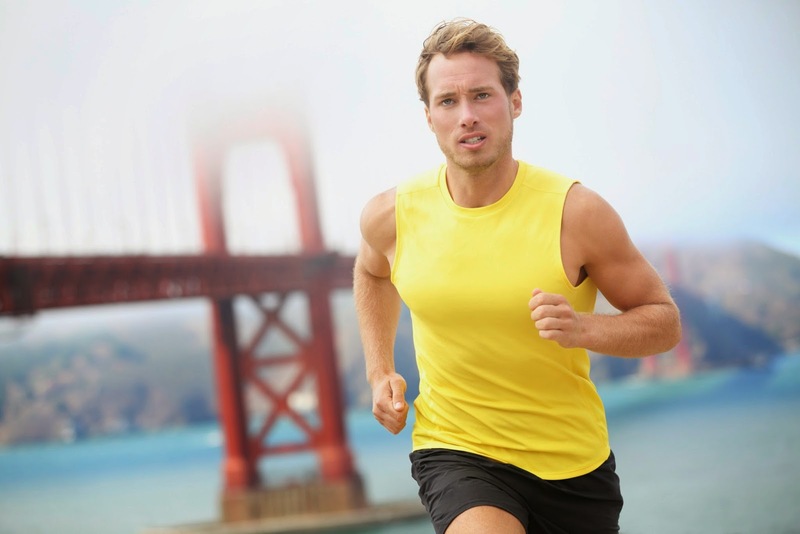 Maybe an injury has thrown a huge dent in your marathon training schedule. Maybe you just got diagnosed with asthma. Stop for a moment and consider this truth: You are the great bridge in your own life. You are capable of becoming your own solution. Reverse your attitude. Often the best solution to many challenges is simply to see the situation from another perspective. You may not be able to change the circumstances, but you can certainly choose how you react to them. Make it a game if you must to start thinking about your situation differently. Can you find a silver living? Can you find an element of humor? Can you see how this challenge might help you grow? No matter how hard you have to look for a positive spin on the situation, don’t give up until you find a way to reverse your outlook. Reverse your time. You may be spending a lot of time on things that end up making it harder for you to have a healthy lifestyle. Is there a way that you can decrease this time within reason and instead increase the time you have available for establishing healthy practices? Or can you take the time you had set aside for training before you got injured, and still use the same time frame for healthy activities? For example, always take the stairs instead of riding the elevator. Park farther away from the door so that you have to walk more. Go the extra mile when cleaning at home. Walk the dog. Throw around a frisbee in the park. Use a treadmill or do an ab workout while watching your favorite t.v. show. Shovel snow out of the driveway. Go bowling for your birthday. Get moving! If you start spending more time on things that help you feel better, you will have a more substantial emotional reserve to draw upon in meeting and overcoming your challenge. If the way you are spending your time is only bringing you down, you need to reverse how you spend your time and use it to get moving. Reverse your overall goal. Maybe your goal is to lose 25 pounds. Maybe you want to run a six minute mile. Maybe you want to make first string on the sports team. Whatever your goal may be, your challenge or setback has most likely had an impact on your goal. Don’t give up. Instead flip your goal around and commit to becoming healthier. Maybe you are on crutches and can’t walk for weeks. Don’t forget that you can still eat healthy and get good sleep. Don’t be so obsessed with a specific goal that it prevents you from maintaining a healthy lifestyle. Being active and healthy will not only help you overcome your challenge, but may also help make your specific goal a reality when the time is right. 2. Don’t travel the bridge alone. By 1976 the bridge was getting heavily congested during rush hours again, even with reversible lanes. Another solution was proposed to ease this congestion. Toll free passage was granted during rush hours to vehicles and motorcycles carrying three or more people. 1. Find a trusted friend that will check in regularly on your progress and hold you accountable for your revised goals. 2. Find other people who are facing similar challenges. Brainstorm together and commit to a goal you can work on as a group. Achieving a goal as a team can be even more rewarding. 3. Don’t be afraid to start small. Even walking and talking every morning with a friend can lead to lasting healthy changes. Remember, if someone makes you feel worthless or hopeless, you need to move on and find someone who can really help and encourage you. 3. Choose your own color. The Golden Gate Bridge is painted International Orange. At the time the bridge was constructed, most bridges in the world were painted black or gray. The U.S. Navy had requested that the bridge be painted black with yellow stripes to make it stand out for passing ships. The chosen orange color complements the natural surroundings, makes the bridge easier to see in the fog, and makes the bridge visible to passing ships. In other words, the color of the bridge accomplishes the key overall goals, while still maintaining a unique personality. This is a great way to think about your own life. What are your overall fitness & wellness goals? Is your life consistent with those goals while still being true to your unique personality? Do not fall into the terrible trap of comparing yourself to others. Yes, you need to be healthy and in shape, but you also need to be you. You will literally go crazy if you start setting goals like I want to be as skinny as Sarah and as fast as Rodney. True tragedy lies in accomplishing a goal only to find out you lost yourself somewhere along the way. 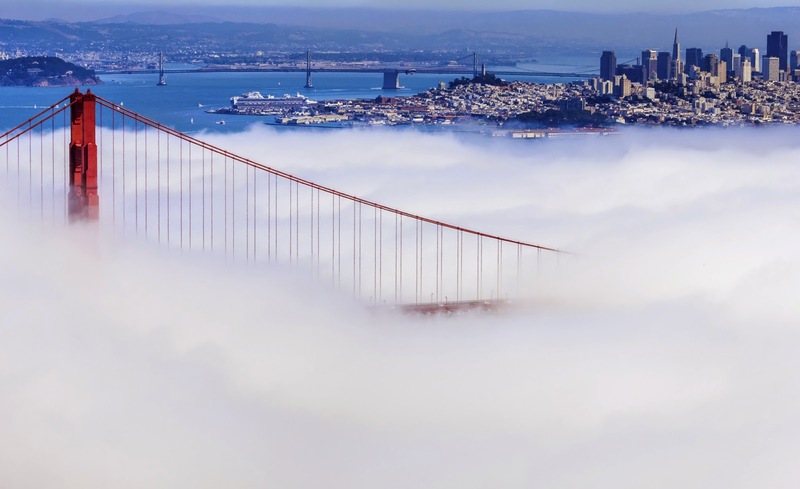 The next time you are facing a challenge, think of the Golden Gate Bridge. Remember the lessons that you have learned from this landmark bridge. Figure out how to reverse your lanes, don’t travel the bridge alone, and be sure to choose your own color. In applying these great lessons, you will find you are building a foundation that will benefit your overall health for many decades to come. I love the "Reverse your attitude and goal", nice one sis.